Would you be able to deal with someone who has had a sudden cardiac arrest? 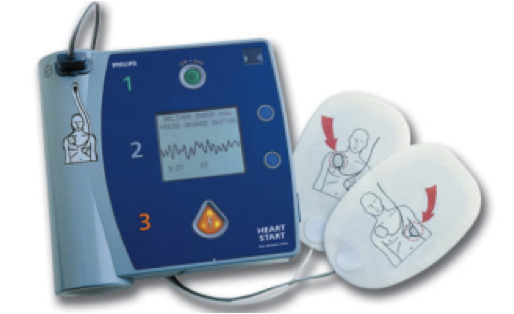 Automated External Defibrillators (AEDs) can reduce mortality from cardiac arrest by as much as 75% if the first shock is delivered within the first 3 – 5 minutes. This is a practical session, which can be performed on the manikin in the dental chair if required. The use of oxygen, airways and breathing apparatus will be covered. - This training is CPD verifiable and certificates of attendance - - will be issued in line with GDC guidelines. - Free handouts and equipment catalogue will be given. When a cardiac arrest occurs in an adult, the heart will develop an abnormal rhythm. The first three outcomes rely on YOU! Once you have ensured that the emergency services are on their way you need to start your CPR as soon as possible. This will help to keep the heart in this “shockable rhythm” until the AED arrives, and each minute is vital. The AED will only deliver a shock if the heart is still in a shockable rhythm. It can’t shock a heart that has developed a “non-shockable” rhythm. This is commonly referred to a “Flatlining” and it’s medical term is “Asystole”. Your CPR is vital in maintaining the shockable rhythm, but defibrillation must occur as soon as possible. After the first 3 -5 minutes the chances of recovery start to fall by approximately 10% per minute! If your practice has an AED and you deliver the first shock within 3 – 5 minutes then your casualty has a very good chance of making a recovery. Therefore ALL staff at the practice should be able to perform CPR and also be familiar with the device in use on their premises and should receive yearly training as recommended by the GDC and Resuscitation Council. Adult AEDs can be safely used on children over 8 years old. Paediatric pads are also available for use on children between the ages of 1 and 8 years. This should be a consideration for practices who regularly treat children.